-Each win against an opposing team leader earns your team 1 point, defeat all 4 to earn 5 total points (4+1 extra point). Saturday night at 7pm will be a stand-alone Pokemon Tournament to determine the Champion of Anime Crossroads. Tournaments is open to all regardless of participation in the initial team challenge. The tournament will also go along with the US vs UM team challenge as well. 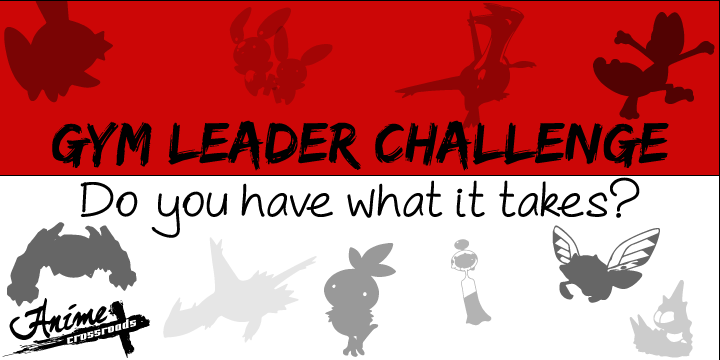 Those who took part in the initial challenge will keep their team. Attendees who did not participate in the initial challenge will be assigned a random team at the start of the tournament. The tournament will hold the same VGC ’18 format rules as the initial challenge, Each win in the tournament earns 1 point for team. Overall winner will earn 3 points for team in the Final match. The tournament winner and winning team (most points from challenge and tournament) will win a prize. The team challenge and tournament will all take place in the Video Game Room.